Evolve Money is a free online bill payment system that has been around since January 2014. It’s very popular in the travel hacking arena, thanks to Evolve allowing the use of gift cards and prepaid cards to pay bills. Unfortunately, they do not allow you to pay credit card bills, so this isn’t very scalable in the MS world, but it’s a great service nonetheless. Recently Evolve Money updated their site, which caused some issues with bill payments. If you are a regular Evolve user and have hit some roadblocks after their recent update, jump to the FAQs section. Hit the break to learn more. As I mentioned above, Evolve Money’s main attraction is the ability to use gift cards and prepaid cards to pay regular bills. Again, this doesn’t include credit card bills, however, based on Frequent Miler’s Evolve Money Interview, that feature will be coming in the fall. Regardless, Evolve is still extremely useful for regular bills such as mortgages, car loans, student loans, and utility bills. So, why use Evolve Money? Because, you can earn 5X points on bills you already pay. Head over to Evolve Money and create an account. 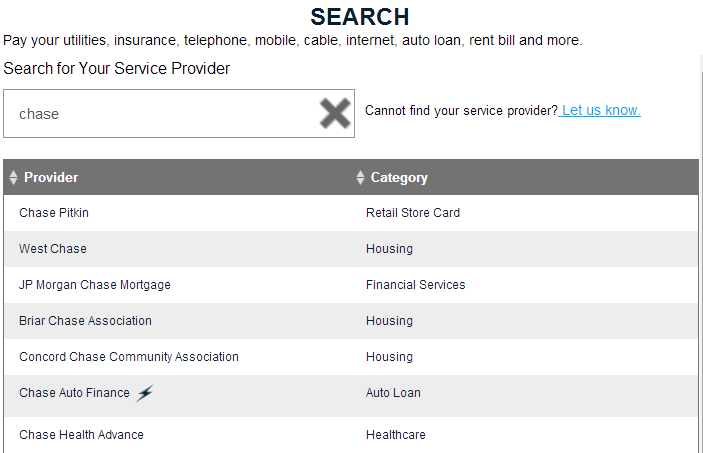 Search for your biller. Remember this can be anything from Utilities to car loans to mortgages. Evolve Money has thousands of different companies in their system that you can pay (sadly, those companies do not include credit cards). If they do not have the company you would like to pay, contact them and they will likely add it. Now, enter how much you want to pay to what bill. Select “Debit Card” and enter your card information. I always register my gift cards with my name and address, however, you do not have to do that. There will also be a warning about prepaid cards not working for bills 1-2 business days away. This is one of the issues with Evolve’s new system. I will get to this in the next section. After that, click “Pay” and you’re done! It’s that easy. Your bill statuses will appear on the right side of the screen. Green means it was paid, yellow means it is pending, and red means it failed. These FAQs are in regards to travel hacking, manufactured spending, and other questions that aren’t answered in Evolve’s FAQs. You can find Evolve’s actual FAQs here. Standard bill payments (2 business days) are free. If you need an express payment (same day), the charge is only $1.50. There are a few different limits. $1,000 in bill payments per day across all accounts. Creating accounts to avoid this limit will likely get you shut down. This resets at 12am PST. $10,000 in bill payments per month. Creating accounts to avoid this limit will likely get you shut down. 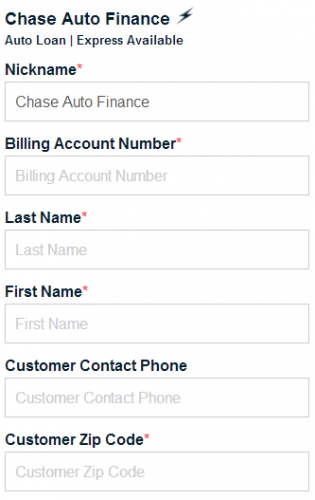 Maximum of 4 payments to the same biller (same account number) across all accounts. If you and a family member are paying off the same mortgage, you can only make 4 payments, between you, to that mortgage. Failed payments count towards this limit. Are there any ways to avoid the above limits? If you pay with “cash” (e.g. RELoadit, Evolve Pay Bucks) the 4 payment limit does not apply. There are no other ways to avoid the limits, that won’t get you shut down. For a time, you could pay bills on Evolve directly with a credit card, however, that was not something they intended. They plan to introduce this feature in the future, but it will likely cost you, since Evolve has to pay the merchant fees. Personally, I prefer to pay my bills with gift cards and prepaid cards, because it earns me 5X more points and miles. How do I avoid payments failing? Your payments can fail if you are paying the same bill multiple times in a row (e.g. paying $800 to one biller with 4 – $200 cards). This happens, because Evolve thinks you are making a duplicate payment on accident. To avoid this, make the payments 5-10 minutes apart. If a payment fails, it counts toward your 4 payment limit and it takes 5-7 business days for the charge to fall off your card. 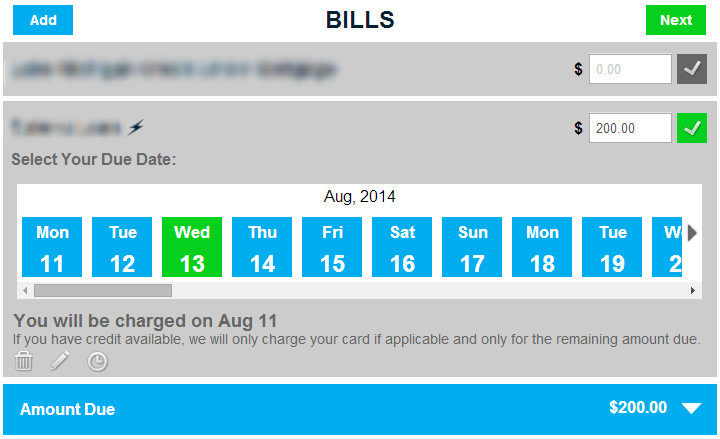 What is the warning I get when trying to pay a bill (shown in step 5)? That is saying that if your gift card or prepaid card is not charged the day you make the bill payment, it will likely fail. I ran into this issue multiple times the past few days, however, there is a way to avoid your payments failing. When making your bill payment make sure Evolve says it will charge your card that day. It will say this right under the scheduler (see below). Will my mortgage payment count towards principal or interest? Based on my personal experience and Flyertalk, if you pay your mortgage in full on the same day, it will count towards your monthly payment of principal and interest. If you only pay part of your mortgage (e.g. $200 on a $1000 mortgage) it will go towards your principal. What do I do if my mortgage or bill is larger than the $1,000 limit? Unfortunately, there is not much you can do. Evolve Money has plans to allow larger bills to be paid, like mortgages, in the future, but we will just have to wait and see. If you pay extra principal on your mortgage, you could pay that via Evolve (see previous question). Frequent Miler – Greg does an awesome job explaining what issues Evolve Money has and what they are planning on releasing in the future. This is a short interview with an Evolve Money representative. Flyertalk – This is the Evolve Money Flyertalk thread. If you have any questions relating to Evolve Money, chances are you can find the answers here. Freequent Flyer – This is an interview Freequent Flyer had with the Vice President of Evolve. It’s a little dated, but it’s still a great read. If you have any questions about Evolve Money, leave them in the comments.